You know you are one of the best content management systems (CMS) on the planet when you power 59.4% of the market. Compare that to second-ranking Joomla at 6% market share and it’s clear WordPress is a big deal. Now, whether WordPress SEO (search engine optimization) is simple and easy to implement right after pressing the install button is a whole other debate. Some circles claim that WordPress is not as SEO-friendly as it should be. Others swear WordPress is the best CMS as far as modern SEO goes. But you’re just a beginner, you’re not sure what works. This WordPress SEO guide is prepared specially for you. Here, we’ll focus on what you need to know about WordPress SEO to get you up, running and scaling new SEO heights. In a nutshell, search engine optimization is all about the techniques used to make blog or website content become easily and quickly discoverable in search engines. SEO is a constantly evolving beast. Staying ahead of the WordPress SEO curve means you can become more visible to your target audience and connect with them. 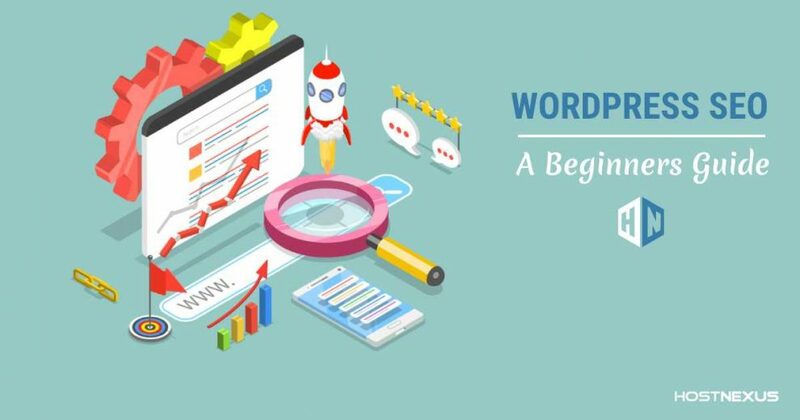 Here are tips to help kickstart your 2019 WordPress SEO campaign. The very first thing you want to do is ensure your WordPress blog is discoverable by search engines such as Google, Yahoo, and Baidu. From your WP dashboard, go to Settings > Reading, find “Search Engine Visibility”, and ensure the checkbox next to it is unchecked. The truth is search engines (particularly Google), follow what and where people are doing and going online. The higher the traffic you attract and retain, the higher the search engines rank your content, “thinking” it must be useful to people. Otherwise, they would not be visiting and sticking around as much as they do. As more people appreciate quality content presented in form of photos, videos, and infographics, Google has increasingly shown a correlation between rich content types with higher SERPs ranking. 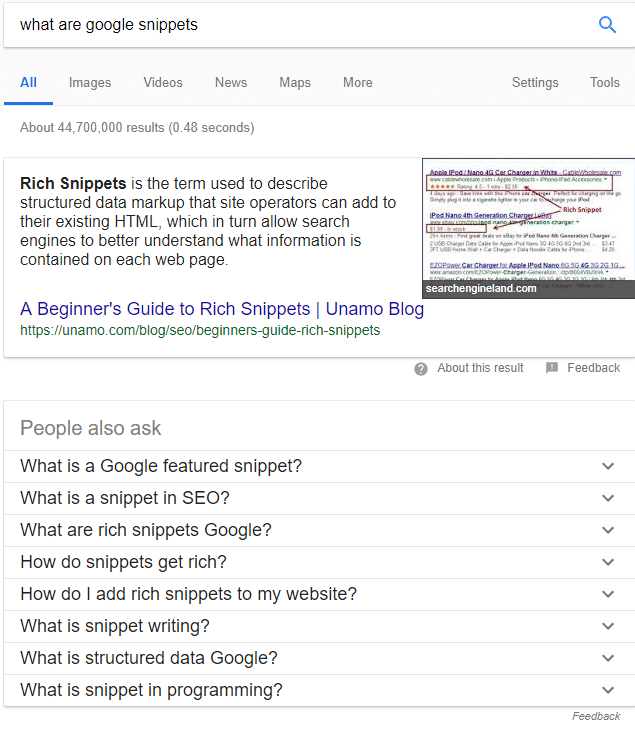 Appearing in Google’s Featured Snippets can bring a ton of traffic to your site when you know how to optimize your content for rich snippet blocks. Notice the questions below the screenshot above. Those questions relate to the one queried in the search box. Google knows this through its artificial intelligence tool, RankBrain. You can take advantage of RankBrain ranking contribution by, for example, using question and answer (Q&A) content formats. Many people are now using Q&A to find relevant information online compared to just using primary and secondary keywords. Using conversational queries in your content creation can help connect with searchers looking for matching answers to their questions. Also, with voice search becoming increasingly popular, conversational queries and answers content formats are likely to offer boosts in SERPs visibility. Titles are so important to WordPress SEO that different content titles can alter traffic by as much as 500%, according to Upworthy. Keep in mind that about 80% of people read the headline only. To make headlines interesting and SEO-friendly, ensure you use the primary keyword (closest to the beginning of the headline as possible) and make it interesting with valued modifiers. For example, a title that starts with “How to…” shows people they are going to learn from your content hence convert to readers. The higher the conversion rate, the higher the ranking as discussed in point number 2 above. Search engines also crawl image alt text to know what they are about and contribute to both image and overall content ranking. So be sure to use your primary keywords in your image captions. Another thing: Here is where to place your primary and secondary keywords in a WordPress post. 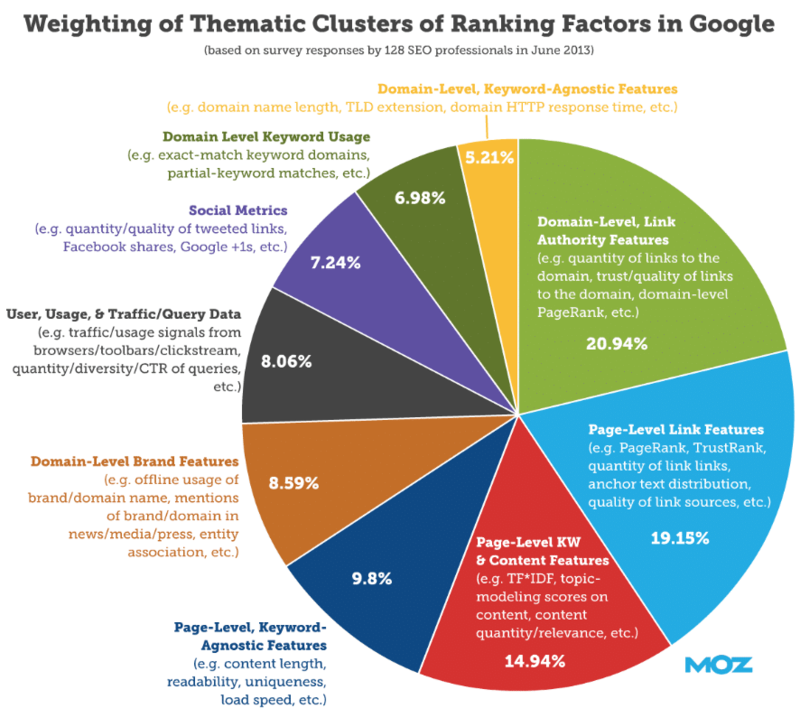 This has been a big SEO ranking factor in the last couple of years. It will still be so for a couple of more. 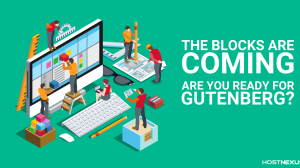 Linking involves having (ideally) authority sites link their content to your site’s content. You can only get high-quality backlinks if you create useful, referable content. 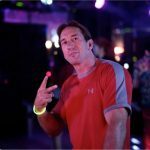 You can also earn quality backlinks by publishing quality guest posts on authority sites and sharing links incredible social media communities among others. In the past three years, Google, the leading search engine, has shown a preference towards long-form content compared to short-form content. 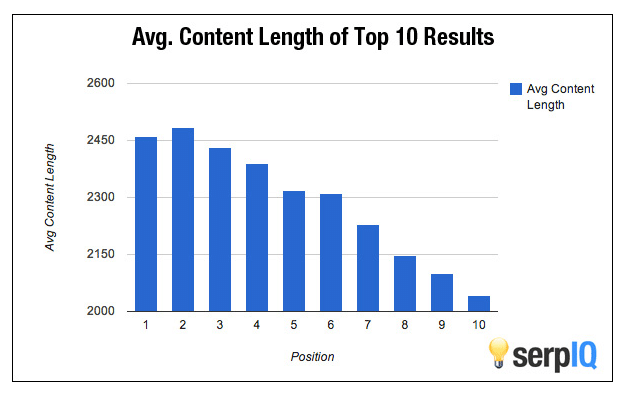 Notice below how the top-ranking content comprises of, on average, 1,500 to 2,000 words with 2,400+ words being a sweet spot, according to Moz, Backlinko and a SerpIQ study. Fast-loading pages keep visitors while slow-loading pages discourage visitors from waiting around, increasing bounce rates where delayed visitors click back and search somewhere else. The solution to this is to implement a responsive design that caters to both page-loading speeds of about 2 seconds and can adapt to the size of the device a reader is reading from. That is because more people now access the internet from their smaller smartphone screens than larger desktop monitors. Simply, permalinks are page URLs or links. WordPress post’s permalinks are visible in search engine results—to both people and search engines. Search engines like Google prefer permalinks containing your primary keyword for the post. 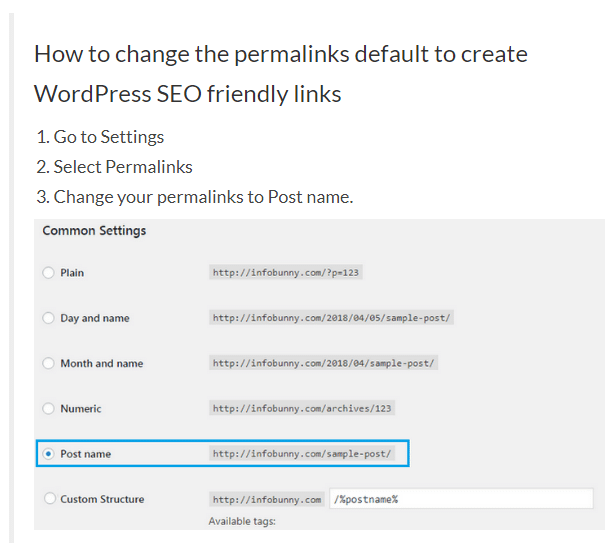 Google, in particular, prefers concise permalinks; short and relevant links that let it know what your WordPress post is all about. That should show your post name. When editing the post, ensure the slug (the part written /sample-post in the image above) includes the primary keywords you want to rank for. Unlike a few years ago, Google’s search engine algorithm now focuses on a combination of primary and secondary keywords to “determine” whether a particular piece of content comprises of quality information or not. They do this by not just using long-tail keywords but also compound keywords. For example, Google will tell an article is relevant to rallying if keywords such as “formula 1”, “race”, “track”, “motorsport”, “racing”, and so on are well spread out in the article. Be sure to use a combination of primary and secondary keywords. Want to find out which keywords are most popular with your target audience? Want to know which keywords to use sparingly in your WordPress SEO campaign? Use a WordPress search analytics tool to help you gather the data you need to get what you want. Some useful, easy to integrate and use WordPress analytics tools include Google Analytics, Google Search Console, and paid analytics tools such as Moz Keyword Explorer. And there you have a starter pack. By implementing the ten WordPress SEO tips discussed above, you’ll already be a mile ahead of a large chunk of the competition that never starts the campaign. From here on you can learn more advanced WordPress SEO techniques to add more weight to your content and more organic traffic to your site. Thanks for the info. I was looking for the seo tips for my wordpress website. Your tips are really helpful.